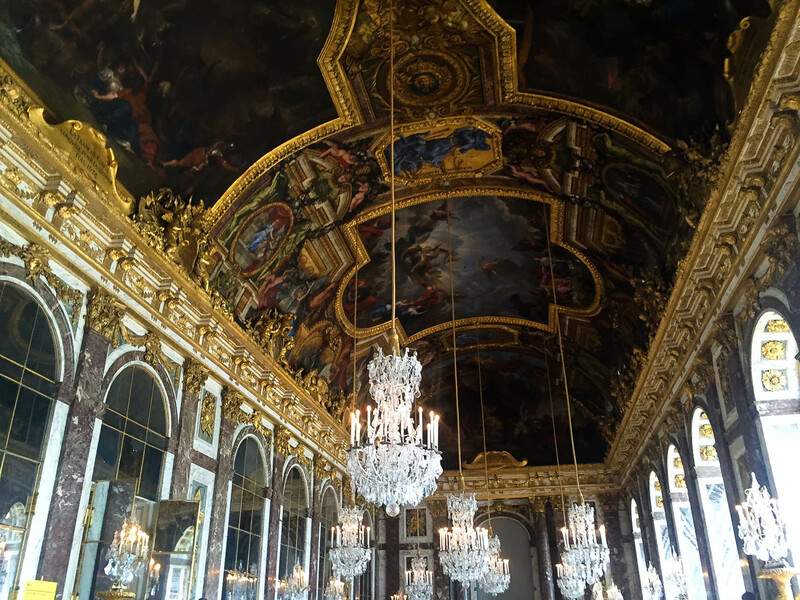 Seeing Versailles was one of the highlights of my trip to France. 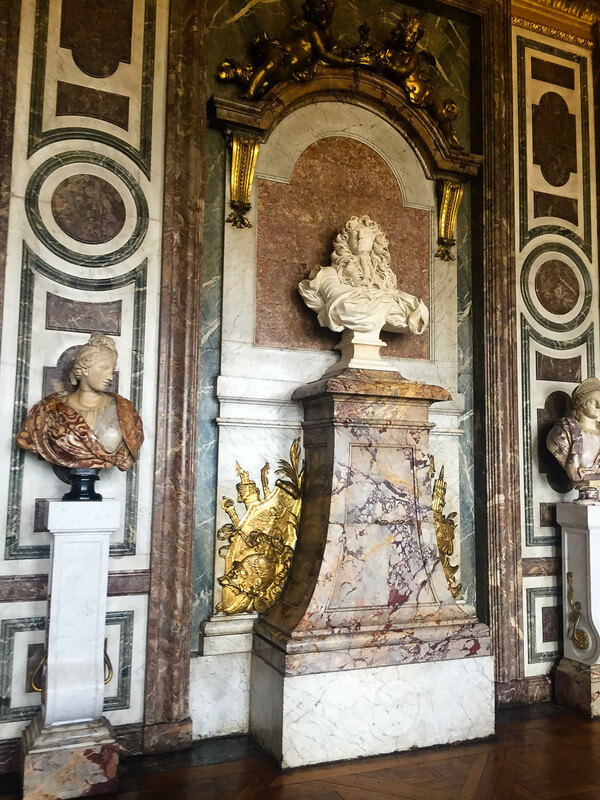 I am quite the history buff and have always been interested in Marie Antoinette, royalty and the French Revolution and visiting Versailles was the perfect way to spend my last full day in Paris. 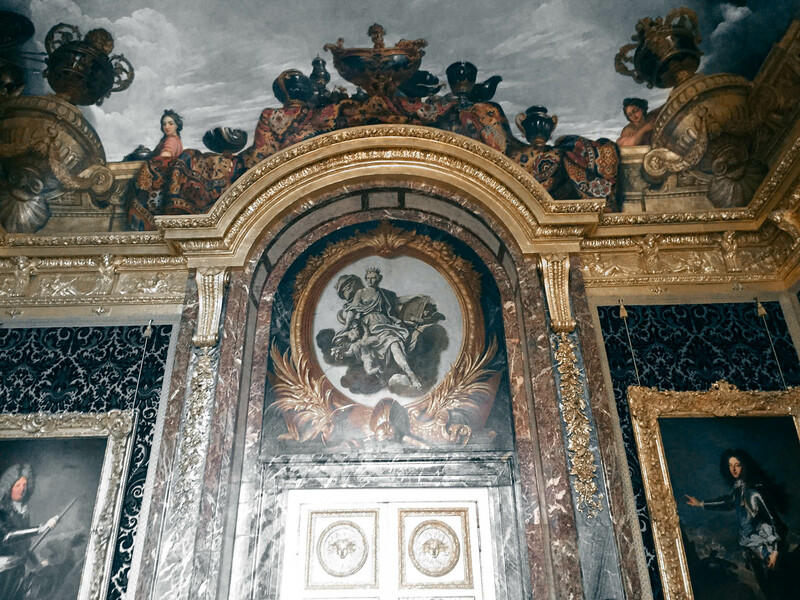 On the spotlight during the trip was a visit to the palace itself; its staterooms, bedrooms and gardens form the backdrop to much of the drama of the place. 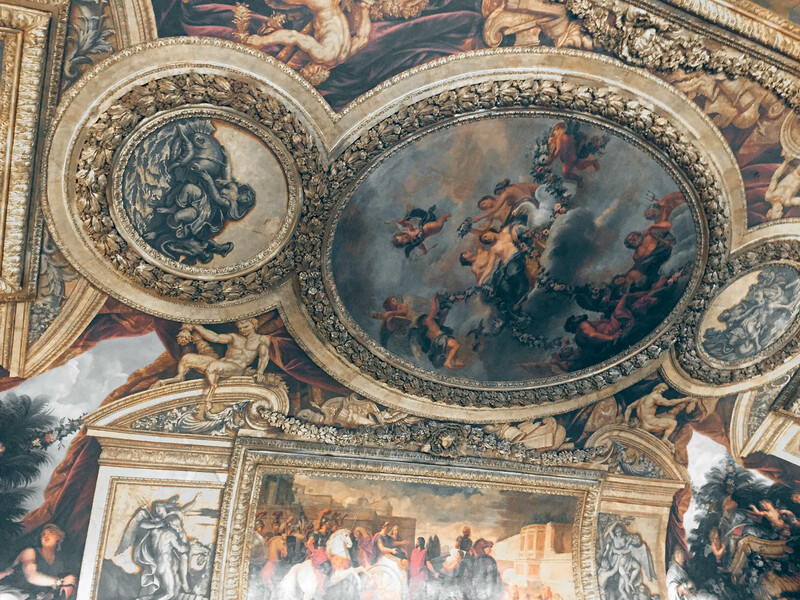 Most people skip the trip to the palace since a visit usually requires a full day trip (half if you’re lucky) and that’s a lot of time to devote to sightseeing especially if you’re only staying in Paris for a couple of days. It’s located outside the city and travel time is significantly long (at least 45 minutes) but I found that it was a good retreat especially if you’re tired of the cityscape and want a break. The grounds are marvelous and unforgettable but the palace was out of this world in grandeur and opulence. 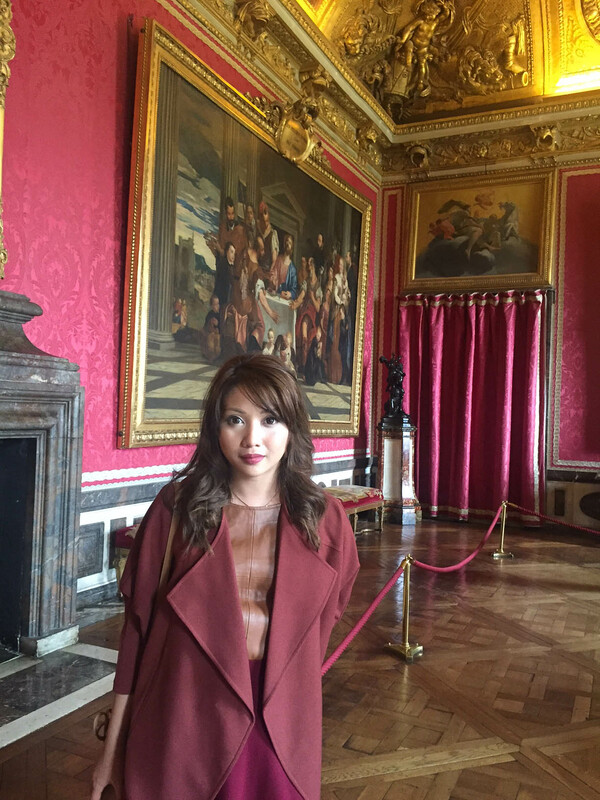 Now I reserved this caramel brown leather top and maroon skirt combination for my trip to the palace because I wanted to wear something that would somehow match my surroundings quite well. 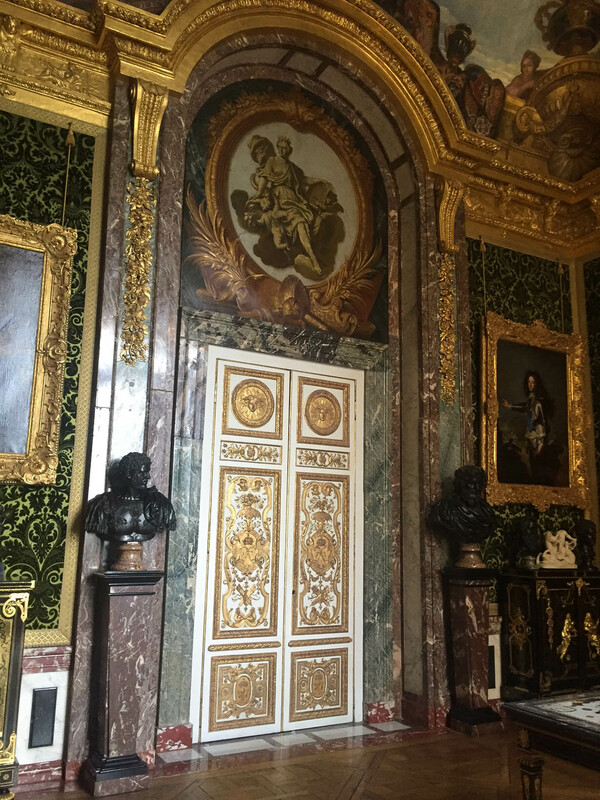 After all, I am visiting Louis XIV and the famous Dauphine Marie Antoinette’s residence and being casual and boring was an option I didn’t even consider. Of course, I saw Sophia Coppola’s highly anticipated and acclaimed film which was a retelling of the tale of France’s iconic yet ill-fated queen and while the movie was an explosion of opulent pastel hues, I felt that wearing rich and warm tones were more fitting especially since the day we visited the palace was one of the cold and rainy days during our stay in Paris. 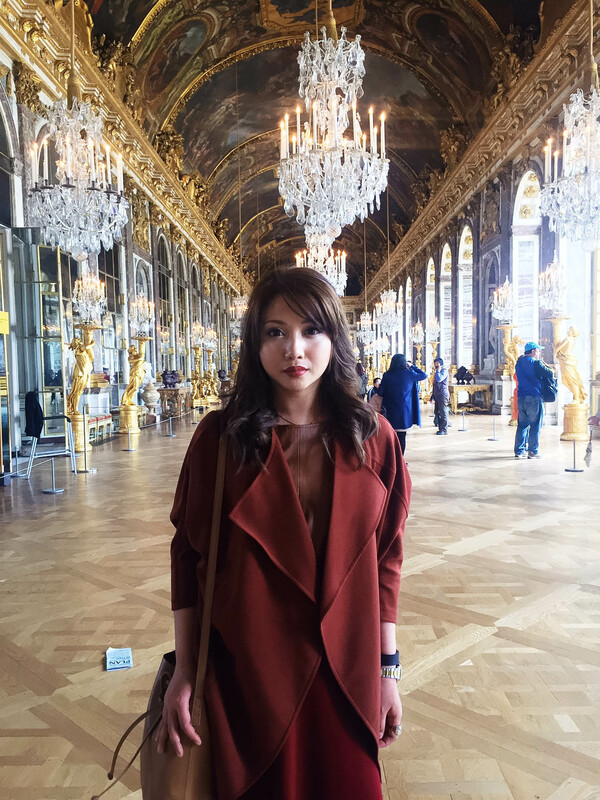 I originally planned to wear this ensemble with a camel oversized coat but opted to pair it with a maroon coat instead because I did not anticipate the poor weather since our trip was mostly blessed with good weather. Looking back, I wish I relied less on the weather forecast as it was inaccurate and opted to be more prepared. You live, you learn and next time, I will know better. One thing I have to say is that after seeing the grounds, I can’t wait to revisit Versailles and hopefully, next time, with better weather. It was unbearably cold this day and was raining so we didn’t get to enjoy the gardens much and toured the chateau instead. I would advise to factor in the weather when planning to visit and when you encounter rain, it would be better to sit the trip out since enjoying the gardens and the grounds is an essential part of the visit and the trip. 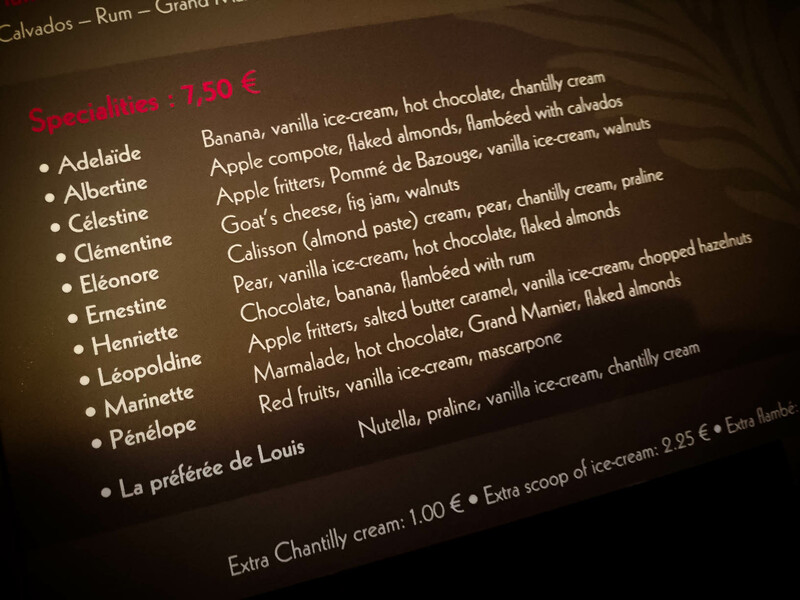 If you are planning to visit Versailles and want to know what to expect, here are the highlights of my visit: 1. The Hall of Mirrors 2. 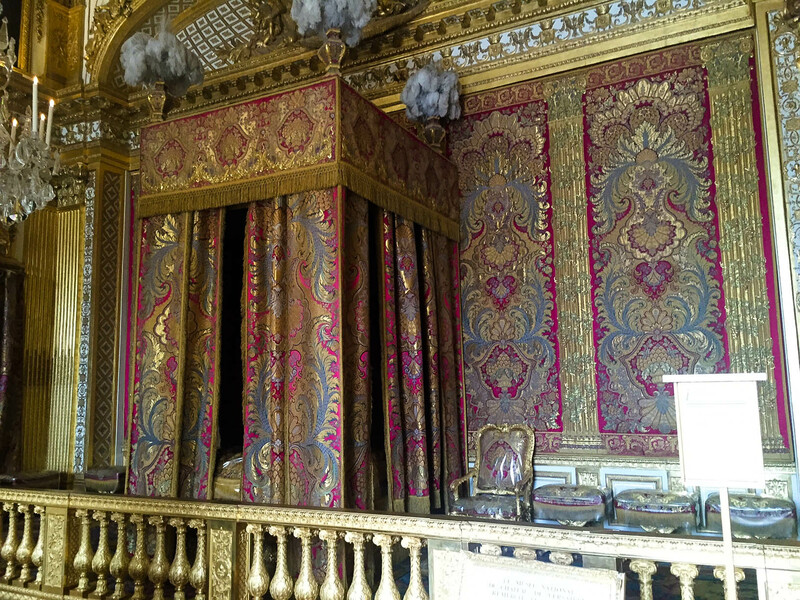 Marie Antoinette’s Bedchamber 3. The Gardens and Fountains 4. Marie Antoinette’s Hamlet 5. The Grand Chapel. 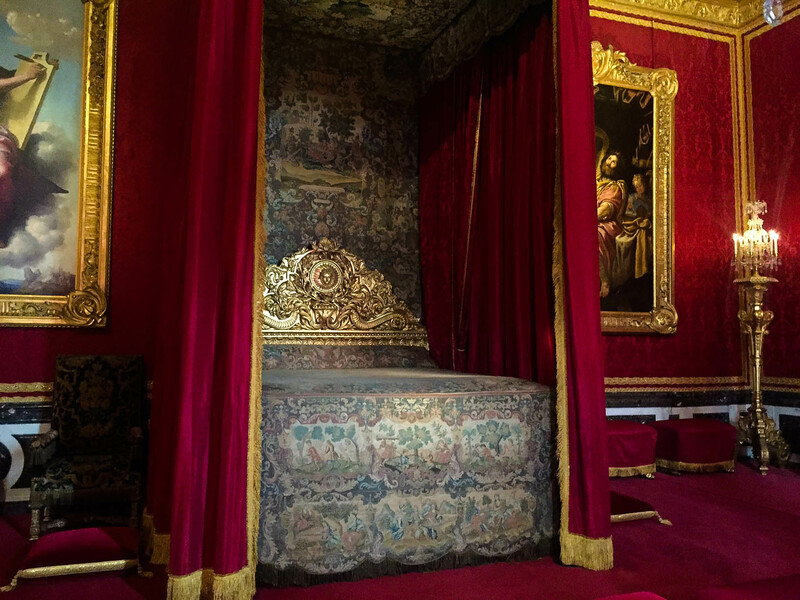 I also recommend a visit to the Private Apartments of the Kings and marveling at the luxury and lavishness of life in French royal court which led to the uprising known as the French Revolution. 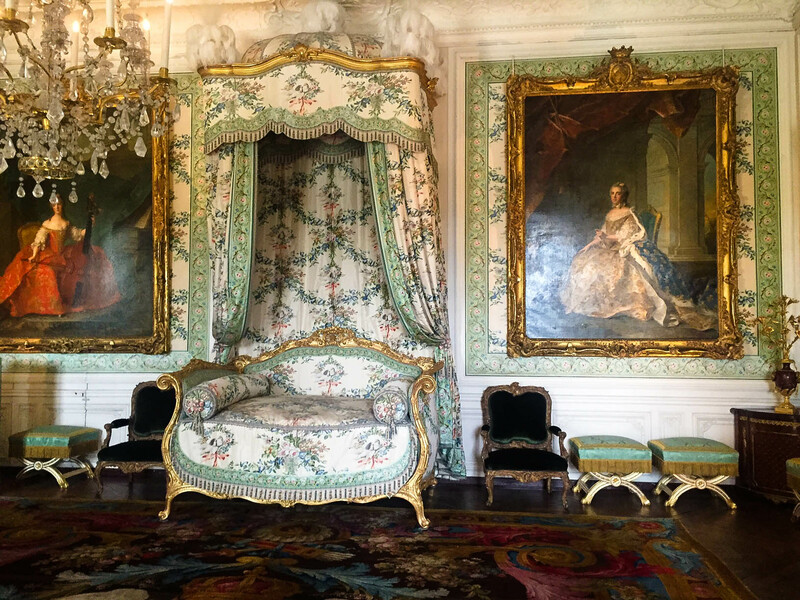 The extravagance and profligacy of how courtiers lived their lives gives insight and understanding on what led to The Revolution and why a new regime was necessary for the people. We spent a good portion of our day going around and soaking in the palace. 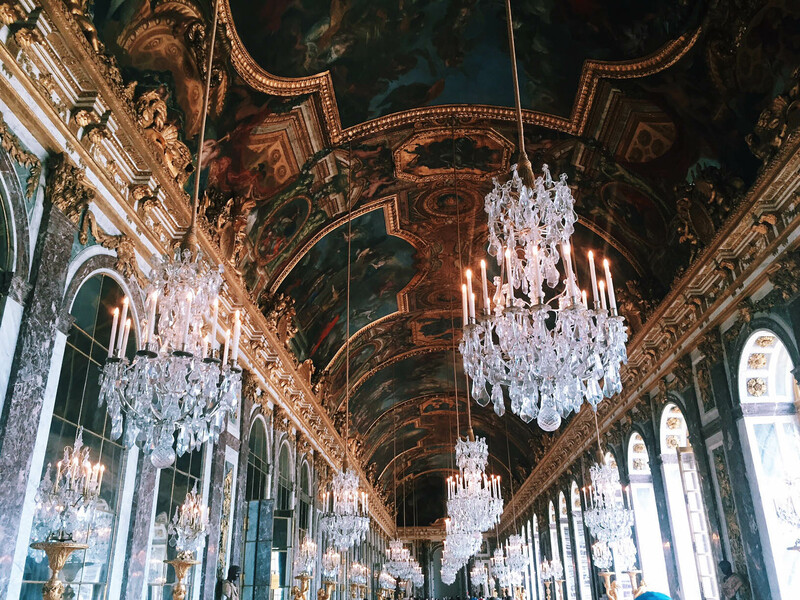 My favorite part of the tour was of course The Hall of Mirrors which is basically a huge and grand hall that is lined with more than 350 mirrors, which in the 17th century were as precious as diamonds. After the tour, we were so famished that we ended up visiting Angelina’s (again) and settled there for afternoon tea (or hot chocolate for everyone else) and some pastries and refreshments. We arrived in Versailles at around 2 pm which in hindsight was a bad idea since arriving early means less crowds and an optimal experience. 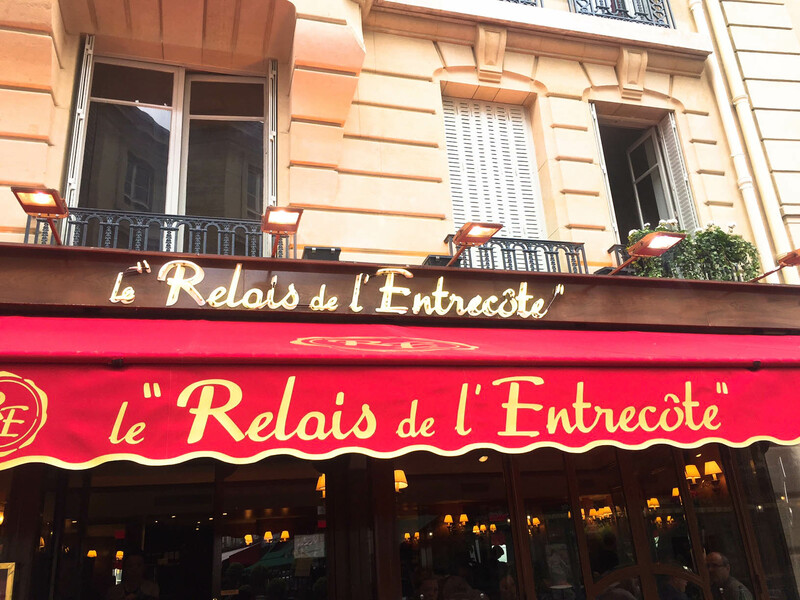 It was worth it though that we arrived late since lunch was exquisite at the well known Le Relais de l’Entrecote. 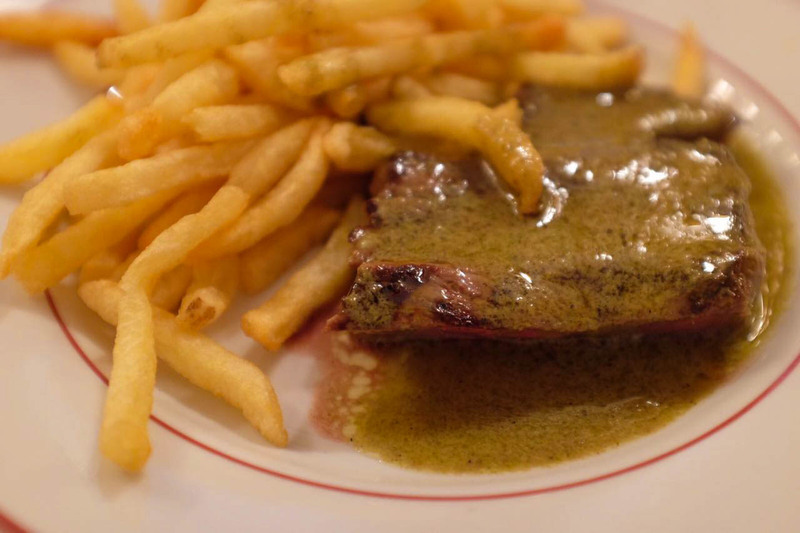 The menu for lunch was simple as it was the same for everyone dining in the restaurant: Steak Frites so the choice was easy as it was basically a choice between steak or steak and an endless supply of golden and perfectly cooked potato fries. 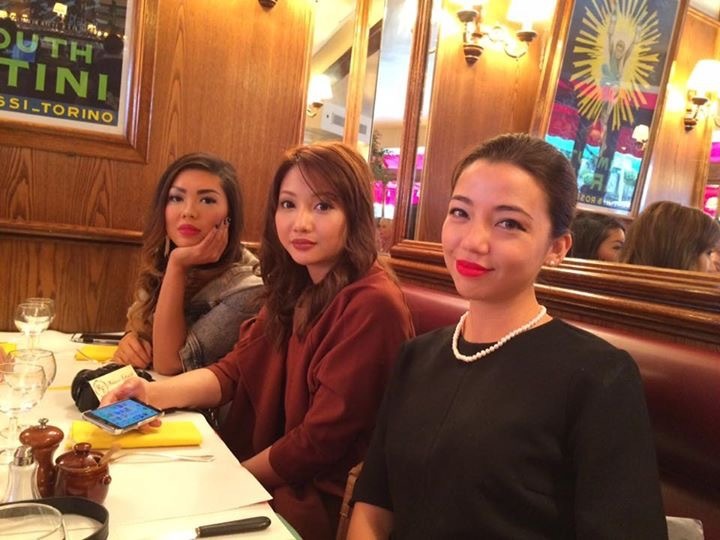 It was definitely a unique steak house experience. 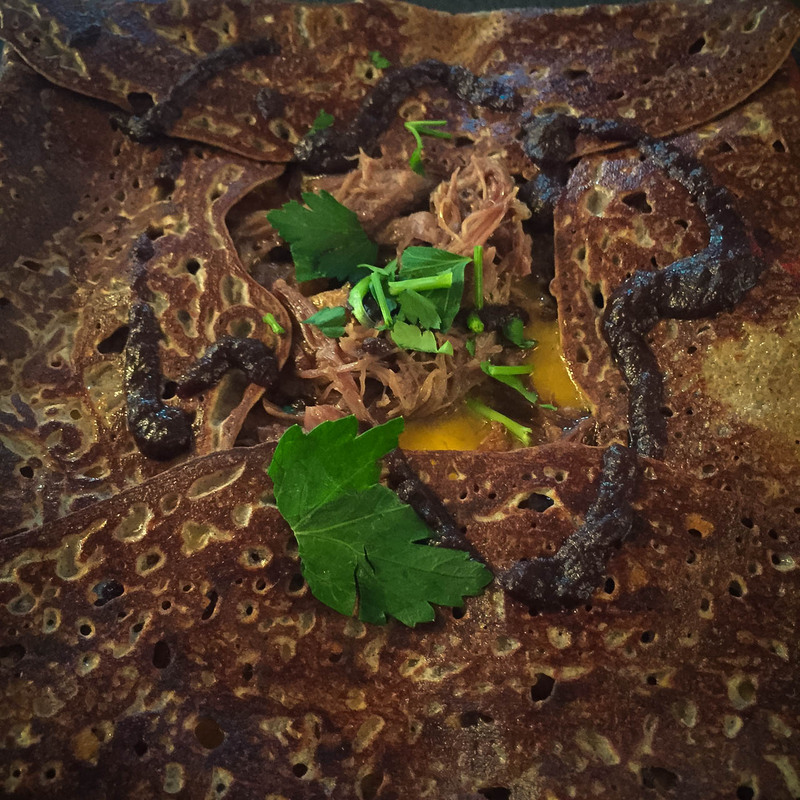 The day was capped off with another gastronomic experience at 142 Creperie Contemporaine at Rue Saint Charles in the 15th Arrondisement. 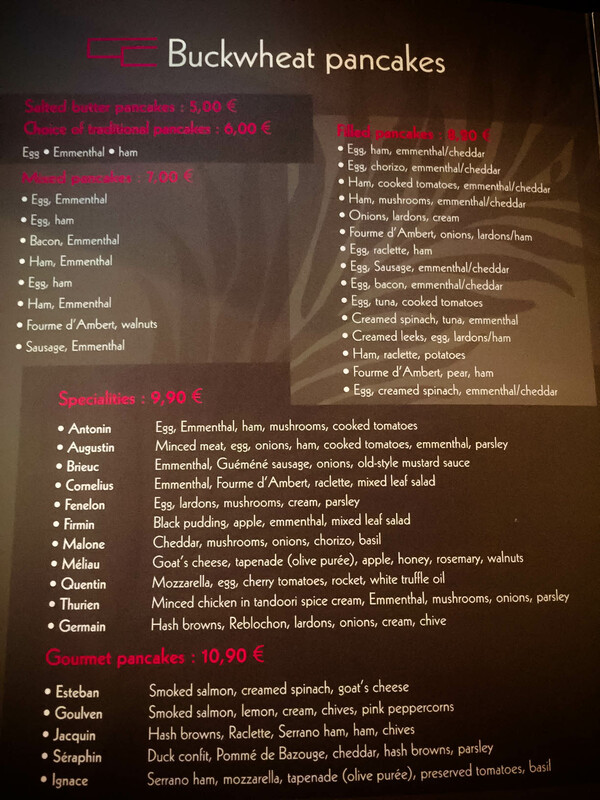 It was- hands down- the best crepe I’ve had in my entire life. 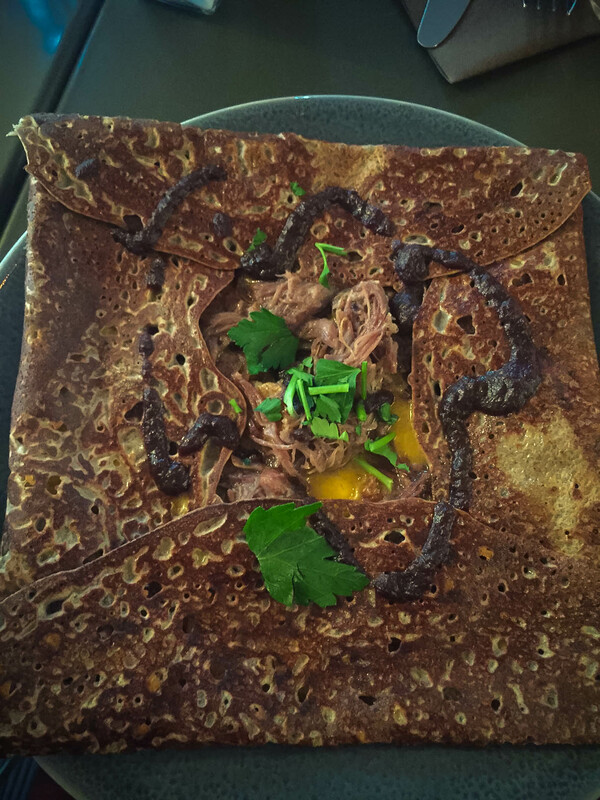 I ordered a savory buckwheat galette called the Seraphin which was composed of duck confit, Pomme de Bazouge, cheddar and hash browns and it was exquisite. 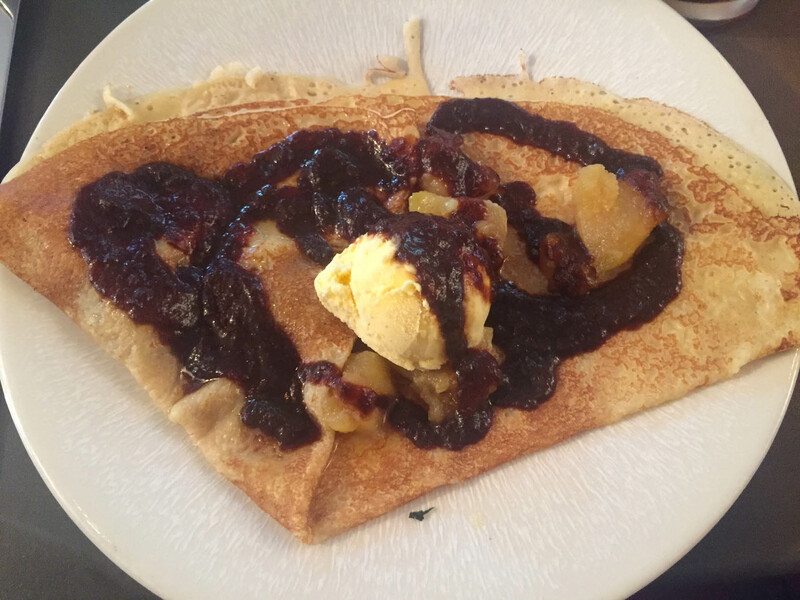 It was followed by dessert (of course) and I had the Celestine which was a sweet and heavenly crepe made of apple fritters, Pomme de Bazouge and vanilla ice cream. 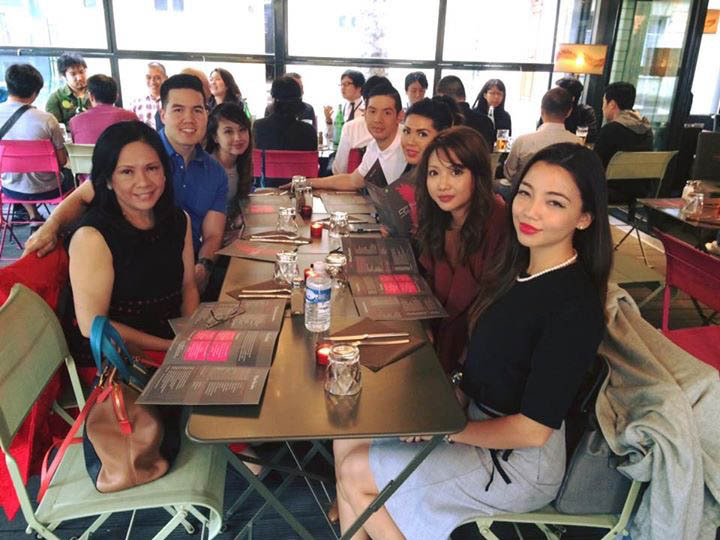 This meal was heavenly and I must say, the best meal I’ve had in Paris.